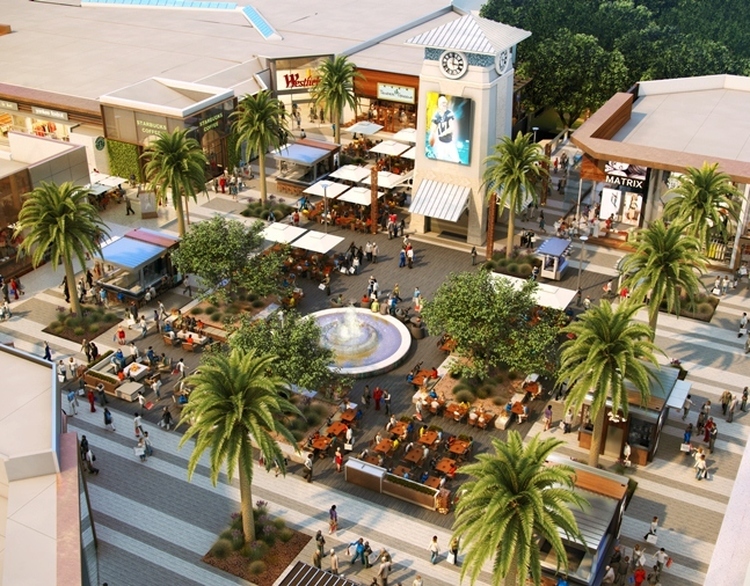 Westfield UTC San Diego – Amazing Mall Makeover! I was in San Diego last week and stopped by Westfield UTC Shopping Center to walk around and grab a bite with a friend. What an amazing job Westfield did in creating such an inviting space! Shoppers meander down shopping avenues with funky furniture to sit on, fireplaces to lounge by, water fountains to make wishes into and more – all of it super high end, upscale, modern yet comfortable and inviting. They’ve created a space where people just want to go and hang out with shopping as an added amenity but not the sole focus and the sole reason to go. This center has embraced changing times and made a space that everyone will enjoy spending time in. Nice restaurants in there as well including Shake Shack and a Korean restaurant called BiBiGo that had a good Be Bim Bop. Props to Westfield for such a nice job on this Mall Makeover.